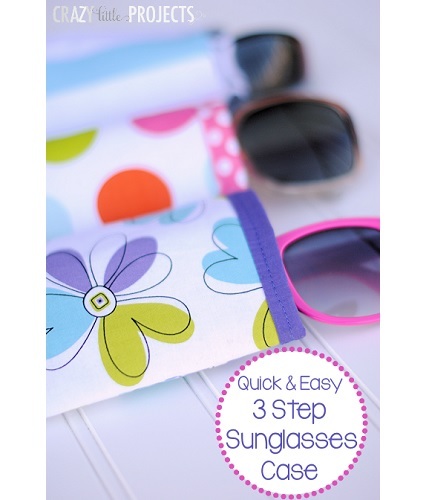 Amber from Crazy Little Projects shares a tutorial showing how to make a quick and easy sunglasses pouch to keep your shades from getting scratched in your purse. It takes just 3 steps to make one. It’s a simple fabric sleeve with an open top. Fusible batting between the outer fabric and the lining gives it body. The lining peeks out around the top, so use fun fabrics for both the inside and the lining. Go to Crazy Little Projects for the how-to.